When I visited Gunwharf Quays, I took a trip into The Cosmetic Company which sells discounted premium brands, such as Mac. I picked this gem up and have fallen in love. The only trouble with this product, is I think it may have been discontinued at Mac. However, The Cosmetics Company have a website and I’m sure there are other places you can pick this up. Plus there are similar dupes, such as Groundwork. 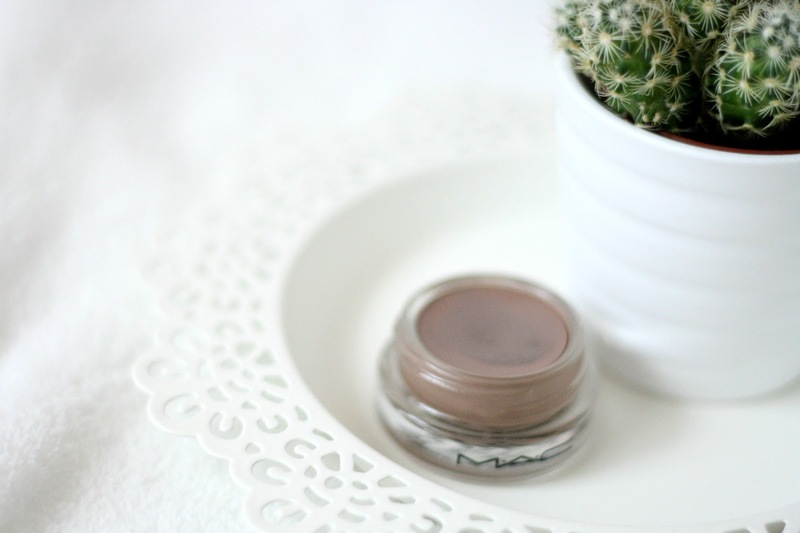 I love the Mac Paint Pots, I think they’re some of the best cream ‘pot’ eyeshadows on the market. Its easy to get the product out onto your finger, so then easy apply onto the eyes. The colour of this is just so beautiful, a browny mauve colour. One of my favourites. Its also completely matte, which works well as a base so you can add any powder eyeshadow on top of that to create a lovely eye look. This is incredibly pigmented. You don’t need too much, however if you want it really dark you can build this up to make a really smokey look. Definitely a great one if you want to go for a darker eye look for the evening. The texture is incredibly creamy, which of course is a great thing. 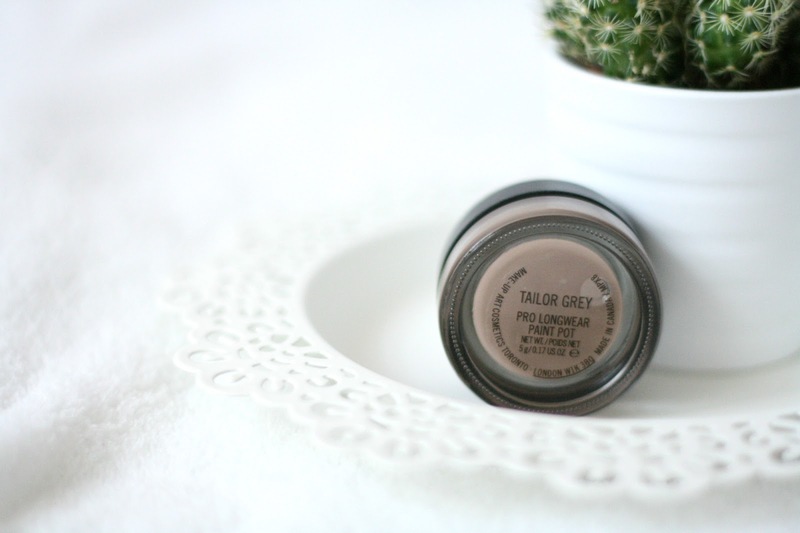 It isn’t drying on the eyes, its easy to blend since the texture is so super creamy. I think thats one of the best things about this product, its so easy to work with. Wow, the longevity of this product is incredible. I’ve worn this for a good 10 hours I’d say, and its only worn off the slightest bit. It lasts for such a long time, and honestly when I swatched this it was so difficult to get off my hand, it took a few scrubs! This is so easy to apply, I like to apply it with my ring finger and then blend it out with a fluffy brush. I also put some on a very small brush and run it under my bottom lash line, which also works really well. Overall, this is such an amazing product and I’m such a fan of the Mac Paint Pots, this colour in particular. I’m sorry if you can’t get hold of this, but I know for sure Groundwork is very similar. Or ask at the counter if they have a colour similar to ‘Tailor Grey’, and they might guide you from there. I bought this for £12, but usually they’re £15.50. You should also check out The Cosmetics Company if you get the chance, because they have some great discounts. 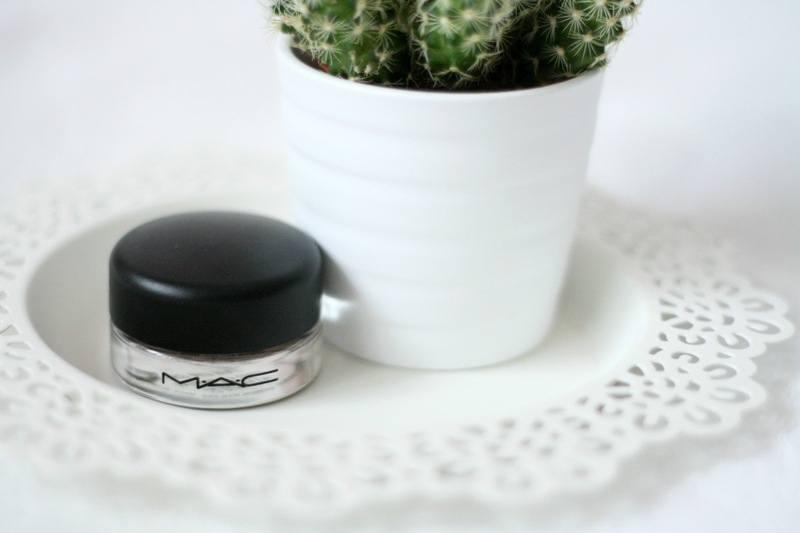 Whats your favourite Mac Paint Pot shade?